In 2010 the renowned Scottish writer Iain Banks made a principled public statement in The Guardian in support of the cultural boycott of Israel. This week he was in the news again, tragically to announce that he has – barring a miracle – terminal cancer. Tributes have been flying in – at such velocity they swamped his website. Today The Guardian reposted his 2010 statement, presumably with his consent. I pay my respects here to a great writer: a man who knows his own humanity is inextricable from the suffering of others, and who faces the worst with clear-eyed conviction and courage. 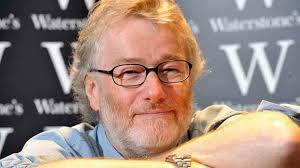 Some readers may wonder why Iain Banks isn’t a member of BWISP. I don’t know him personally so cannot say. Some Scottish, Welsh and Northern Irish writers do not identify with the label ‘British’, and some people simply aren’t ‘joiners’. But for a writer of Banks’s stature to take an individual public stand on this issue is a significant act, and one that means a great deal to our movement. Once again, I applaud Iain Banks, and wish him and his wife every possible joy in the months to come. The Boycott Batsheva campaign has kicked off in high style in Edinburgh with protests on the street, in the theatre, and in the media. BWISP member Jonathan Rosenhead is a signatory to a letter to dance professionals asking them to join the campaign. Lloyd Newson, of DV8 Physical Theatre has responded here. While a public debate is welcomed, Newson’s response misrepresents Palestinian resistance and minimizes Palestinian suffering to order to reject the idea of cultural boycott. Last night pro-Palestinian protesters disrupted Batsheva dance company, Israel’s ‘most important cultural ambassador’, at their opening night at the Edinburgh Festival in the presence of Israeli ambassador Daniel Taub and Israeli culture and sport minister Livnat. In August this year, boycott activists wrote privately to a number of dance professionals, asking them if they would sign a letter for publication in the press that criticised the decision of the Edinburgh International Festival to invite Israeli dance company Batsheva to perform. DV8 founder Lloyd Newson chose to respond publicly via the DV8 website and newsletter. We wrote to Lloyd Newson and other dancers and choreographers because we support the call from Palestinian civil society for an international boycott of Israeli state institutions, modelled on the boycott of South African apartheid, in order to pressure Israel to bring to an end its decades-long violations of fundamental Palestinian rights. Boycott is the non-violent weapon of a people who have been denied any democratic recourse to justice over many decades. We strongly reject the political and moral equivalence Newson seems to assume between Israel and Palestine. The fundamental dynamics of military occupation, ethnic cleansing and of apartheid can only be described as the relationship between oppressor and oppressed. This relationship is amply documented by all reputable human rights organisations. Over the past 64 years, Israel has never recognised the existence of Palestine, nor its right to exist, even while colonising its resources, destroying its villages, agriculture and economy and while expelling its people and disabling the functioning of its society. Israel has certainly never hesitated to use violence to achieve the above aims. In fact the Palestinian call for boycott is a non-violent strategy that calls not for the ‘destruction’ of anything or the deprivation of any rights, only for the implementation of international laws and human rights conventions as they apply equally to all people, regardless of ethnicity. So-called ‘honour’ crimes, and violence based on gender or sexual orientation, must never be denied or dismissed. While they are a reality in Palestinian society, this is also true of many other countries. However, that fact is not normally deployed, as Newson does, as an argument against the right of these countries to exist and practise self-determination. Palestinians are entitled to the human rights denied to them by the State of Israel over the past six decades precisely because rights are universal and affect all Palestinian women and men, whether gay or straight. Furthermore, there is ample evidence that the daily experience of living under military occupation and racial persecution actively compounds these problems. Israeli occupation and violence against Palestinian women are integrally linked. For example, Israeli military checkpoints cut off roads between Palestinian villages and towns, isolating women from friends and family and making them more vulnerable to patriarchal control. The Israeli military and occupation authorities routinely humiliate Palestinian men, increasing tension in the domestic sphere and making it difficult for Palestinian women to talk publicly about experiences of domestic violence. Doctor Nadera Shalhoub-Kevorkian, of the Hebrew University of Jerusalem, has rejected the ‘culturalisation’ of violence against women – the explanation of violence as part of ‘Palestinian culture’ – and situated it within the context of Israeli occupation, militarisation, dispossession and poverty. She has shown how women suffer the constant fear of losing their homes, family members and their ability to provide for their children. The economic strangulation that prevents Palestinians from reaching schools, from finding decent work, and from moving freely within and between their own areas, has had a profound impact on women’s lives and safety. As an integral part of Palestinian society we believe that the struggle for sexual and gender diversity is interconnected with the Palestinian struggle for freedom. As Palestinian queers, our struggle is not only against social injustice and our rights as a queer minority in Palestinian society, but rather, our main struggle is one against Israel’s colonization, occupation and apartheid; a system that has oppressed us for the past 63 years. Aeyal Gross, professor of law at Tel Aviv University, has stated that for Israel, ‘Gay rights have essentially become a public-relations tool’, even though ‘conservative and especially religious politicians remain fiercely homophobic’. This public relations programme has become known as ‘Pinkwashing’. Gross has elsewhere said: ‘The appropriation of gay rights in Israel diverts the conversation from Palestinian oppression in an attempt to present Israel as a liberal democracy’. As queers, we recognize that homophobia exists in Israel, Palestine, and across all borders. However, the struggle for sexual rights cannot come at the price of other rights. We think Newson is quite right to be wary of ‘artists banning other artists’. As with the boycott of South African apartheid, cultural boycott means balancing the right to freedom of expression (in this case of Israeli state institutions that do not explicitly oppose state policies regarding Palestinians) against other fundamental freedoms, such as the freedom of ordinary Palestinians to live in liberty and equality with others. We are not boycotting any choreographer because of their beliefs, their nationality or the content of their work. We are protesting the Israeli state’s use of contemporary dance as ‘soft power’ to promote a cultured image on the world stage, as part of its ‘Brand Israel’ campaign. Newson notes that Batsheva director Ohad Naharin has publicly stated he is ‘sympathetic to the frustrations experienced by Palestinians and has openly criticised the Israeli government’. But sympathy for their ‘frustrations’ will not impress Palestinians living under siege in Gaza, in the West Bank, in refugee camps, in prison under administrative detention, or anywhere else. If Ohad Naharin and Batsheva Dance Company would have the courage to refuse to offer their bodies up to the Israeli Defense Forces for annual military service, if they would have the courage to publicly condemn the illegal military occupation of the West Bank and the ongoing theft of land and property by the government that pays them to tour in the name of Israel, if they would have the courage to publicly state that they do not judge people by their religion or ethnicity and so would welcome the return of non-Jewish refugees back to their homes inside what is now Israel, then they would be touring to the UK as dance artists, and not just as political puppets. Anybody who seeks to watch Batsheva should be aware that Ohad Naharin and Batsheva have these choices to make. Newson belittles these choices, characterising them as ‘highly simplified’. We, however, think these are fundamental questions of moral responsibility, not only for artists but for civil society in general. We are Israeli citizens who are active against our government’s policies of racism, apartheid and occupation. We wish to address Lloyd Newson’s flawed reasoning in his response to British activists for solidarity with Palestinian people. According to Mr. Newson, all Palestinians (Israelis) represent all Palestinian institutions (respectively), and are therefore responsible for human rights violations committed by ‘their’ institutions. This is a grave error, and a failure to comprehend the Palestinian BDS call. The call for boycotting Batsheva has been issued due to its affiliation with the Israeli government, and its role as a propaganda outlet for the Israeli regime. No one has called for a personal boycott of Batsheva’s ensemble. In fact, the dancers can be invited, as individuals, to perform the same programme, instead of representing the Israeli government as the Israeli foreign-ministry funded ensemble of Batsheva. If Mr. Newson wishes to boycott institutions of other states that are responsible for human rights violations, this would not be incompatible with the Palestinian BDS call. We call on Mr Newson to adopt a coherent and consistent moral paradigm with respect to Israel’s policies of racism, apartheid and occupation, and endorse a boycott of official Israeli representative institutions. For background to this update please see previous posts. In recent developments, according to Haaretz, Tracy Chevalier’s misguided attempt to meet with Palestinian writers was rebuffed; while the festival organiser has radically misrepresented the BWISP campaign as an abusive attack. Readers of the original letter will know that it was very respectful, and indeed, praised both Chevalier and Tom Rob Smith for their humanitarian concerns. Subsequent posts have expressed our disappointment and frustration at the lack of response from the writers, but at no time have they been abusive. Tom Rob Smith himself, in an op-ed for the ultra-right-wing journal Israel HaYom described the campaign as intense, but not aggressive. For an independent reaction to his article, and its false description of the boycott, please see Tali Shapiro’s article in Pulse Media. Many thanks to BWISP member Eleanor Kilroy for her sustained work on the on-going Shakespeare’s Globe ‘Disinvite Habima’ campaign, summarised here in her comprehensive article for Mondoweiss, reposted with permission. In the one week since their Guardian letter, ‘Dismay at Globe invitation’ to the Israeli Habima theatre, was published, signatories such as Emma Thompson and Mark Rylance have been vilified in some quarters. The Jewish Chronicle was expected to hit back the hardest; it has been following the story since late last year, even before Habima’s planned involvement in the Globe to Globe Shakespeare festival aroused opposition, initially from the Israeli organisation Boycott from Within. The call for a boycott of Habima, which was founded by Jews in Moscow in 1905, was condemned by Sir Arnold [Wesker], who said that “depriving an audience of an artistic experience is like the Nazis burning the books of the finest minds and talents of Europe”. “As a national theater company, Habima will perform for all residents of Israel. Residents of Ariel are residents of Israel and Habima will stage shows for them”. The same Odelia Friedman declared just two months ago that the Globe invitation was ‘an honourable accomplishment for the State of Israel’, in the spirit of the infamous 2005 statement by Israel’s Foreign Ministry: “We see culture as a propaganda tool of the first rank, and I do not differentiate between propaganda and culture.” Yet the Globe and its apologists insist on equating the Palestinian boycott of Israeli institutions with an attack on individual (in some cases, Jewish) artistic freedom. Last night, at a rather chaotic Dash Café London event “Art & Conflict – The Case of Syria”, my Reel Festivals colleague Dan Gorman gave an example of the Syrian Ba’athist regime’s attempt to co-opt their independent cultural festival in 2011, months after the uprising began. The Reel Festivals organisers abandoned plans to stage events in Syria upon seeing the Syrian authorities’ use of cultural events to support their narrative of popular support for the government, with events such as the “Oath of Loyalty to the Homeland festival” last July. In this interminable propaganda piece by the SANA news agency on the ‘festival’, the following quote is typical: ‘Artist Subhi al-Rifa’ai said “We came here today to show the world that no one can undermine our country and national unity”.’ Crude rhetoric compared to the whitewash of The Jewish Chronicle and Ynet, and yet the parallels should be noted. Remi Kanazi performed to a capacity crowd at the Friends’ Meeting House in Brighton last night, delivering a host of his signature powerhouse poems, a double whammy of Palestinian and American street cred, and bucketfuls of hope. Organised by the Brighton and Hove Palestine Solidarity Campaign, this gig was the fourth in Remi’s long-announced UK tour – a dizzying 22 shows in 18 days. He’s acclimatized quickly: ‘Don’t call it my UK tour,’ he begs us, ‘I’m not going to Scotland or Wales – I’ll get in trouble.’ (Don’t forget Northern Ireland, Remi!) The remark gives a small measure of the man: as well as an internationally regarded poet and activist, Remi’s a kidder, a clowner and a master of self-deprecation: an artist both deeply engaged and engaging. Remi introduces himself as an ex-fat boy, the only brown kid in a small mid-Western school, afflicted with a mono-eyebrow and a mother who was loudly proud of being Palestinian; and while it’s clear his politics stem from being the grandson of four 1948 refugees, and his poetry was honed in post 9-/11 New York, one imagines that his humour developed from playground self-preservation techniques. For his show, though built around the urgent, often angry poems of his new collection Poetic Injustice: Writings on Resistance and Palestine, abounds with humour. Like a comedian, he gets up close with the front row, in ways that may make older British people uncomfortable except that Remi’s introduced himself before the show, and is clearly eager to make friends. He needs to cast the audience as interlocutors at times because his very vocal poems — sometimes addressed to real-life opponents he can’t get out of his head — explore and enact a raging cultural dialogue about racism, violence, and the desperate need for change. Packed with a one-two punch of history and determination, these are poems that travel: today’s audience is composed mainly of local activists – though one of the UK’s top hiphop artists rolls in late after getting lost on the way from London — but Remi’s equally at home with crowds of a thousand, all hungry for emotion served like a good steak: not raw, but rare. For Remi’s anger is seared by his own unique take on the poet-performer’s craft: eschewing obvious rhymes, his poems meld the rhythms of rap poetry and impassioned speech, and are performed with a dancer’s ethos: mind, body and spirit working as one. Remi often places his fist on his heart, and then opens his hand out to the audience – a physical symbol of the way poetry transforms anger into communication. His topics range from family history and events in the Middle East, to the current American political climate (prophetically, Remi was an Obama-sceptic even before his election) and the vital importance of the Boycott Divestment and Sanctions campaign. Here he gives us an artist’s eye view – BDS, he explains in answer to a question, is directed against the Israeli state and its complicit institutions, and doesn’t mean a person can’t perform in a private café or home within the 1948 borders. At the ripe old age of twenty-seven himself, Remi is already a veteran campaigner, whose poetry has taken him all over North America, Europe and the Middle East, and whose political commentaries have been featured by news outlets including Al Jazeera English, GRITtv and BBC Radio. As a Palestinian writer and performer, remaking poetry for a new generation, he helps gives the struggle for justice an enormous shot of hope. For in the last 100 years the Palestinians have faced two main enemies: Zionism and international indifference. And if the latter is largely based on ignorance of the Palestinian people, culture and communication are the antidotes. In her groundbreaking memoir of post-48 exile, In Search of Fatima, Ghada Karmi recounts meeting Tony Benn early on in her activist life: give me something to work with, he asked – give me something to match Jewish literature, music and suffering in the minds of the general population. Well, the Palestinians have always had culture, especially poetry, but now, in Remi Kanazi, Suheir Hammad and Selma Dabbagh, among others, they have young writers who are bicultural, media savvy and only just flexing their collective muscle. This is a potential game-changer; a cause for immense hope.